Do you wish your videos made more of a difference for your business? Do you find yourself running out of ideas for videos your audience will love? Ever wonder what it takes to make a video so good that news outlets can’t wait to get their hands on it? Enter, 20-year marketing veteran Lisa Mattson. With the help of her team, Lisa has reinvigorated Jordan Winery’s brand through videos. 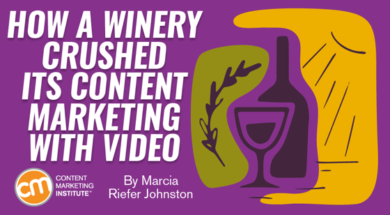 This post shares some ideas from her Content Marketing World talk, How Jordan Winery Crushed Content Marketing With a Video-Centered Strategy – ideas that you can steal to reinvigorate your brand. Many established businesses face the conundrum Jordan Winery found itself facing a decade ago. The almost 40-year-old brand had not kept up with the times. The winery competed with only 225 businesses in 1972. Over the next four decades, its competition increased by over 2,000%. In 2007, Lisa joined this family-owned California winery because her colleagues were ready to update the way this luxury brand spoke and behaved. It was time to stop coming across as stuffy. Lisa’s challenge was to make old-school cool. In those days, Jordan Winery was known for its food, hospitality, and elegant wines, not for its people. No one knew the Jordan family. The company image was “just a bottle shot in a magazine.” Lisa set out to capture the personalities behind the wine. The videos are available on the company’s YouTube channel – Jordan Vineyard & Winery – as well as on its two video-centric blogs – The Journey of Jordan and Wine Country Table – which are helping Jordan build segmented subscriber bases. Rather than pay to advertise its content, the marketing team focuses on creating videos captivating enough to earn coverage on the news and in industry media. For example, Jordan’s popular parody videos, Despacito Embotellado (“bottling slowly”) and Shape of Cab, were featured on Bay Area news stations and covered in several internationally known wine magazines. While it’s impossible to trace the exact impact of the videos, CEO and second-generation vintner John Jordan sees the marketing payoff when all the indicators rise together: sales, visits, social media interactions, earned media, direct sales, and per-person spending. Disclaimer: CMI bears no responsibility for any of our blog readers, fans, contributors, staff, or other humans associated therewith quitting their jobs and applying to work at Jordan Winery after watching the following videos. What stories could you tell about your business – and bring to life on video – that would surprise your audience? You want videos to address topics related to your expertise that hit home with audiences. For Jordan Winery, one such topic is kitchen gadgets. In this video, Jordan Winery executive chef Todd Knoll recommends gifts for cooks – the best and affordable kitchen tools for home cooks, chefs, and foodies. This video is posted on the Jordan YouTube channel as well as featured in a blog post. What goes on behind the scenes at your business that your audience would find fascinating? Build your brand’s following by engaging them in videos that reveal your unique expertise. Lisa suggests filming people doing work they have to do anyway. That’s an efficient way to create interesting footage without requiring people to take much time away from their jobs. In this video, Jordan Winery cellar master Patrick Fallon gives a peek into the making of oak barrels that will be used to age wine. Here, you see the barrel makers (coopers) in action, from bending the wood staves to toasting the barrels. Yes, toasting the barrels. As in setting them over a fire like so many giant hollowed-out marshmallows. It’s a thing. Who knew? Nothing draws people like humor. Imagine what might happen if your team were to indulge its inner Weird Al and spin off a true-to-your-brand version of a hit music video. 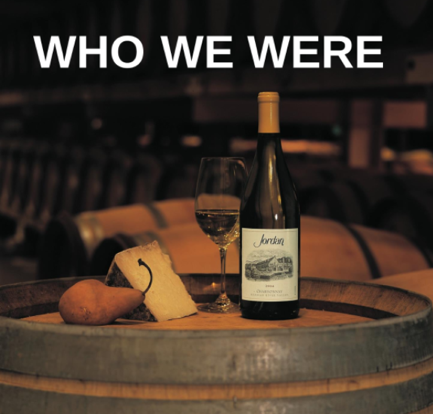 You might discover what Jordan Winery has discovered: People love a good parody. Here’s the winery’s parody, Despacito Embotellado (bottling slowly) of Despacito, one of the biggest hit songs of summer 2017. If you can translate the Jordan lyrics into English, please share in a comment; I’d love to know what this creative crew is singing. Who doesn’t love a blooper or a chance to check out fun footage that didn’t make the primary cut? Share your lighter side with the world. Here’s a compilation of snippets Jordan Winery left out of its official videos in 2017. Explore a topic that hits people where they live. Parody a popular music video. Then come back and leave a comment. Share your success stories with your fellow marketers. We all love a good video. Get inspired and get practical advice on how to create brand videos that garner an engaged following and much more at Content Marketing World 2018, Sept. 4-7 in Cleveland, Ohio. Register using code BLOG100 to save $100.